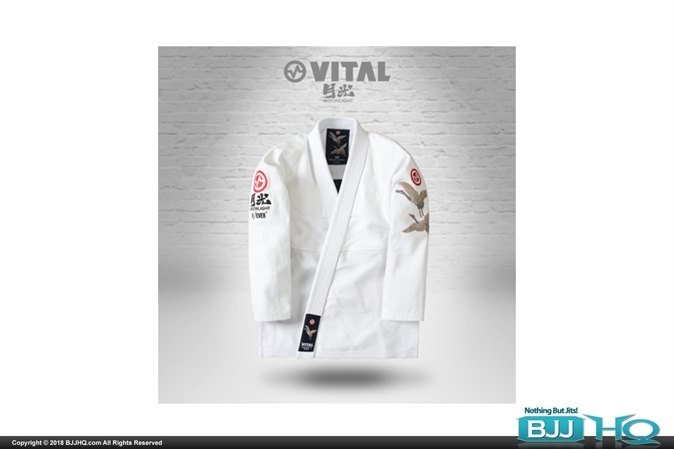 Another beautiful BJJ Gi from Vital Kimonos! The "Moonlight" kimono, also known as Batch #008, feature a direct print along the interior, matched by the clean exterior embroideries and impressively embroidered carry bag. Q. I had the same issue; one wash before the gi top turned yellow. The pants and collar are the only parts that stayed white. Huge disappointment and waste . . .
A. I had the same issue; one wash before the gi top turned yellow. The pants and collar are the only parts that stayed white. Huge disappointment and waste . . . Comment. I had the same issue; one wash before the gi top turned yellow. The pants and collar are the only parts that stayed white. Huge disappointment and waste . . . I had the same issue; one wash before the gi top turned yellow. The pants and collar are the only parts that stayed white. Huge disappointment and waste of money. Q. Been using this soap for a few years now. Great stuff!! A. Been using this soap for a few years now. Great stuff!! Comment. Been using this soap for a few years now. Great stuff!! Q. Hey, I was curious if you guys have any more Kitsune Views Navy Gi's in stock, I was about to order one when I saw you guys had . . .
A. Hey, I was curious if you guys have any more Kitsune Views Navy Gi's in stock, I was about to order one when I saw you guys had . . . Comment. Hey, I was curious if you guys have any more Kitsune Views Navy Gi's in stock, I was about to order one when I saw you guys had . . .
Q. Hi i'm a 5'9 and 135 pound guy, most of my weight is in my legs so I cannot for the life of me find a top that . . .
A. Hi i'm a 5'9 and 135 pound guy, most of my weight is in my legs so I cannot for the life of me find a top that . . . Comment. Hi i'm a 5'9 and 135 pound guy, most of my weight is in my legs so I cannot for the life of me find a top that . . .
Hey, I was curious if you guys have any more Kitsune Views Navy Gi's in stock, I was about to order one when I saw you guys had them on back in December, crossed my fingers you might rotate them through soon. Thanks, I appreciate your time. Q. Yellow is the color of moonlight duh! A. Yellow is the color of moonlight duh! Comment. Yellow is the color of moonlight duh! Yellow is the color of moonlight duh! Q. To the issues with yellowing, is that also the case with their Gunshin gi, as well? A. To the issues with yellowing, is that also the case with their Gunshin gi, as well? Comment. To the issues with yellowing, is that also the case with their Gunshin gi, as well? Q. I'm a certified gi hoarder of about 30 gis... Of which, 16 are inverted gear gis... I like them better than my SYRs, CTRLs, or HYPERFLYs. I'm 6'2 . . .
A. I'm a certified gi hoarder of about 30 gis... Of which, 16 are inverted gear gis... I like them better than my SYRs, CTRLs, or HYPERFLYs. I'm 6'2 . . . Comment. I'm a certified gi hoarder of about 30 gis... Of which, 16 are inverted gear gis... I like them better than my SYRs, CTRLs, or HYPERFLYs. I'm 6'2 . . .
To the issues with yellowing, is that also the case with their Gunshin gi, as well? Q. 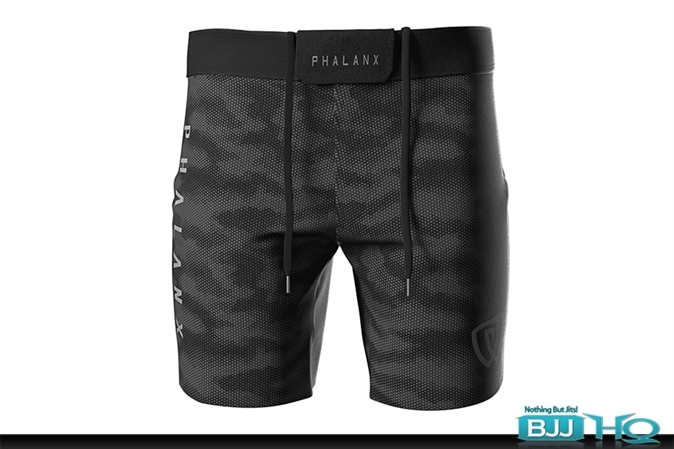 Anyone wore this type of gi before? A. Anyone wore this type of gi before? Comment. Anyone wore this type of gi before? Q. Ive had fuji wartribe inverted gear and tatami gis. Its been my experience that if you dont machine dry any of them, they shrinkage rate on all is . . .
A. Ive had fuji wartribe inverted gear and tatami gis. Its been my experience that if you dont machine dry any of them, they shrinkage rate on all is . . . Comment. Ive had fuji wartribe inverted gear and tatami gis. Its been my experience that if you dont machine dry any of them, they shrinkage rate on all is . . .
Q. Rob is absolutely right I bought A2 and after 3 wash it was unwearable but while I had it it was so light and comfy and the price . . .
A. Rob is absolutely right I bought A2 and after 3 wash it was unwearable but while I had it it was so light and comfy and the price . . . Comment. Rob is absolutely right I bought A2 and after 3 wash it was unwearable but while I had it it was so light and comfy and the price . . . Anyone wore this type of gi before? Its like every other 450 GSM weave and being a 100% cotton it will shrink evetually. Hope that helps. Also, the top yellows after a few washes. Not even the collar, or the pants because they're ripstop. Just the body of the gi top. Bought this before after a few usage and washes gi top turns yellowish white.